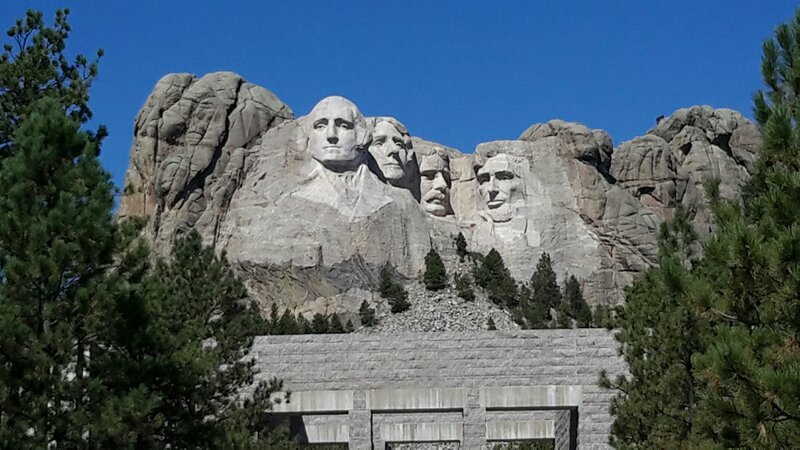 I have been looking forward to seeing the Mount Rushmore stone carvings for a long time and had been more than a little worried that the “tear all of our history down” loons who surfaced after the recent Charlottesville brouhaha over neo-Nazis may do their damage before we got to see it, but alas we made it and was fantastic! 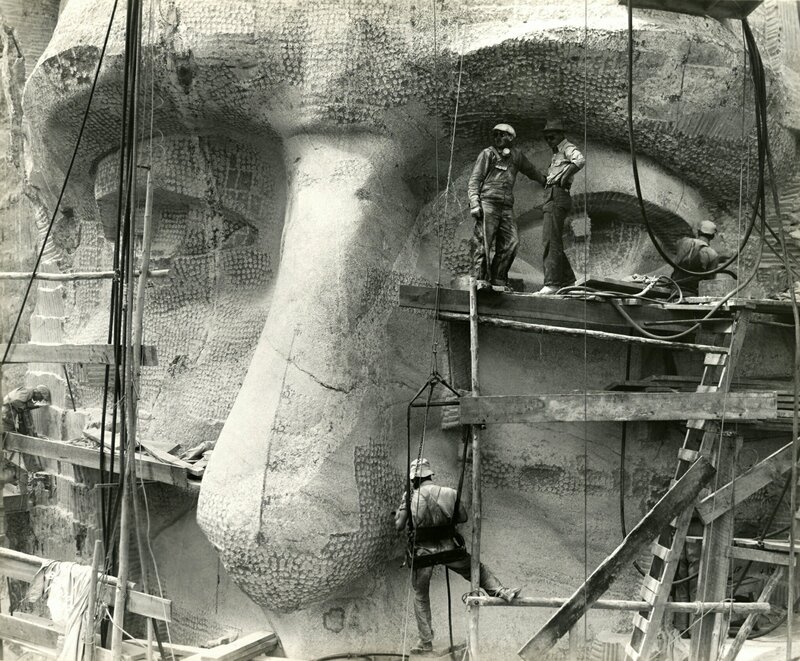 Gutzon Borglum, the man who sculpted the masterpiece studied art in Paris and New York and became a well-known portrait sculptor, but it was a South Dakota state historian named Doane Robinson who approached Borglum to carve ‘Old West heroes’ in the granite formations in the Black Hills. Two years later federal & state legislation authorized the memorial. 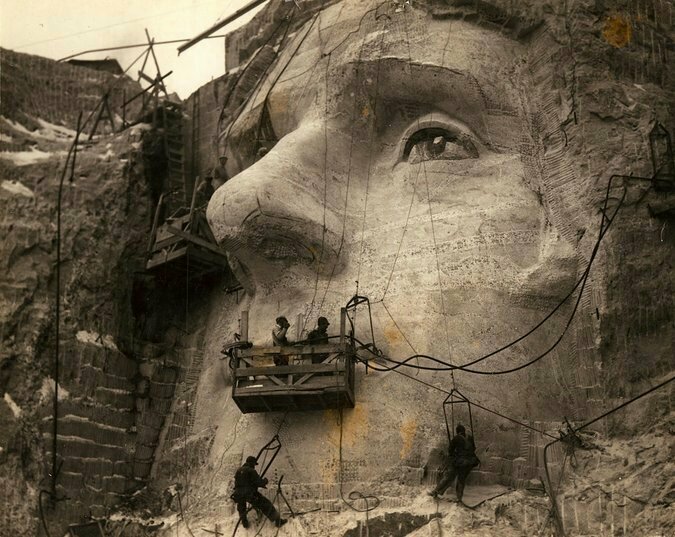 Gutzon apparently got to select who would be memorialized. He selected President Washington because he commanded the Continental Army in the Revolution and was elected the first U.S. president. Thomas Jefferson was chosen because he was the principal author of the Declaration of Independence. Theodore Roosevelt because he was the youngest ever to be elected president & he negotiated the construction of the Panama Canel. Finally, Abraham Lincoln because he devoted his presidency to ending the Civil War & restoring the union. He issued the Emancipation Proclamation, the first step to ending slavery. These were big men! It sounds like Borglum may have been a little worried too. That aside, it’s a magnificent example of artistic skill and patriotism. 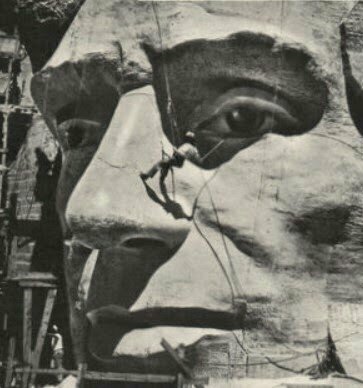 The enormity of the sculpture & the project should not be lost. 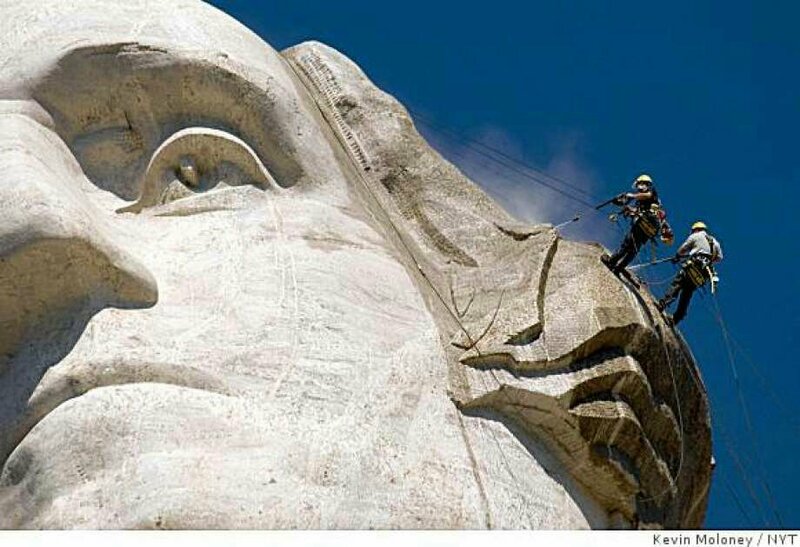 As I looked at the mountain and the wonderfully detailed sculpture, I just could not imagine the skill involved in blasting away tons of rock at a time without taking away too much or wrecking the details of the work already completed. It’s so much more than just the use of a hammer & chisel. If you ever get the chance to go see it in person, I would say do it without hesitation. 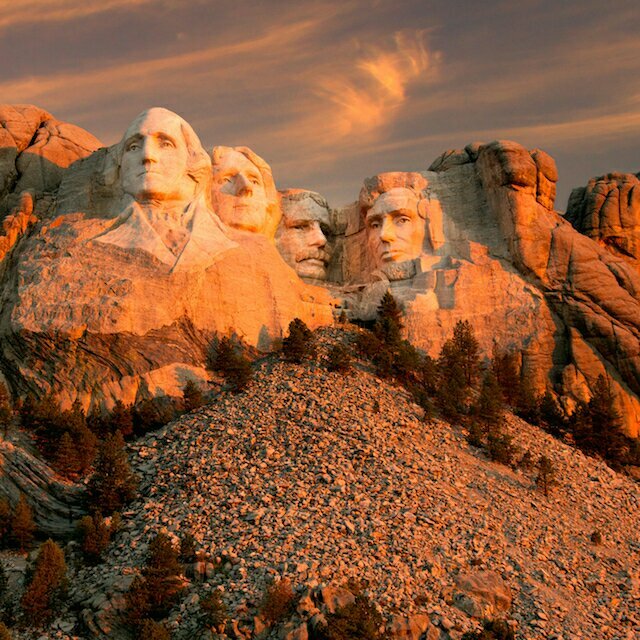 The entire Black Hills area of South Dakota is beautiful and rich in history. This entry was posted on Wednesday, September 20th, 2017 at 3:35 pm and is filed under Travel, Updates. You can follow any responses to this entry through the RSS 2.0 feed. Both comments and pings are currently closed.